Enjoy these Disneyland package deals and save money on your next vacation to Disneyland. Save money on Disneyland tickets, hotels and more with these Disney vacation deals. If you are local to southern California, you may just want to buy some cheap Disneyland tickets and stay at home. But if you are a tourist, or a local who wants to stay at a nearby hotel, you may want a package deal to save money on tickets, hotel, airfare, rental car and more. So keep reading for tips on saving money for your best California vacation - at the Disneyland resort. aRes Travel offers some of the best Disney vacation deals. You can save money on most park tickets, and book Disney vacation deals at a discount. aRes Travel also offers a variety of package deals, with discounts at local Disneyland hotels. If you want to visit multiple theme parks, you can also try the Southern California City Pass. With this pass you can save 27% off the regular ticket prices of these top theme parks, including 3 days at Disneyland California , 1 day at Legoland California, and 1 day at San Diego SeaWorld. You also have the option of purchasing a day at San Diego Zoo or Safari Park for a small additional fee. Another great combo pass is the Disneyland and Universal Studios pass. Spend 3 days at Disneyland California and 1 day at Universal Studios California and save a bundle. Disney offers some of the best Disneyland package deals if you are active or retired military. You can visit Disneyland California for 3 days at both parks (Disneyland and California Adventure) for a discounted price. This Disney offer is open to both active and retired U.S. military families. Only 6 tickets per military member may be purchased by either the member or spouse. The military member must accompany the group as they visit Disneyland. A few blackout dates apply for major holidays. Purchase tickets in advance at your authorized military ticket outlet, as these are usually sold at great discounts. Free hotel night – receive a 3rd or 4th night free at participating hotels near Disneyland California, a $20 Disney gift card, and a Disney premium character dining experience - breakfast, lunch or dinner – your choice! Disneyland Resort Hotel Deals - receive extra deals when you stay at one of the Disneyland resort hotels. Receive an extra $20 Disney gift card, preferred seating at Disney California Adventure World of Color shows, and extra character dining – one hour before the park opens for everyone else! These are great Disney vacation deals! Costco Disneyland Tickets Costco no longer offers discounted Disneyland tickets. For more information see Costco Vacation. If you love Disneyland like we do, and plan to visit multiple times per year, consider buying a Disney annual passport. There are multiple passports to fit your budget and lifestyle. Check out Disneyland Annual Passes. 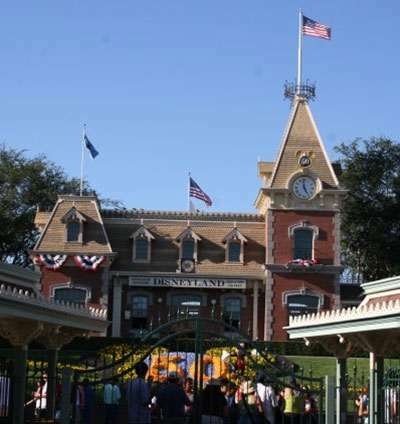 AAA members can get 15% discounts off hotel rooms and free parking at Disneyland, a great benefit for members of AAA. Discount Disneyland tickets are available from AAA. You can buy tickets from some AAA offices, and save about $ 5 - $10 per park hopper pass or 2 day ticket or longer visit to 1 park. You may also get free parking, which saves even more money! 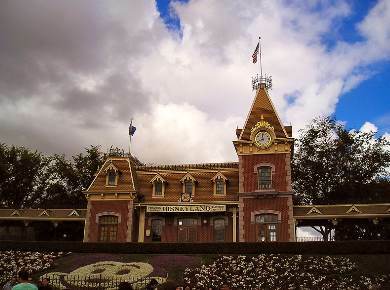 For more savings on a 3 day ticket, why not combine your City Pass tickets with AAA discount at a Disneyland hotel or “good neighbor” hotel near Disneyland? To see which hotels offer AAA Disneyland vacation discounts, see your local AAA club’s website and search for AAA Disneyland vacation, or check out the links to our hotels near Disneyland for some great AAA Disneyland package deals. Disney sometimes offers special Disneyland package deals for So Cal residents. They offer special season passes, and sometimes the offer special discounts, typically early in the year. See the special ticket offers for So Cal residents on their website.